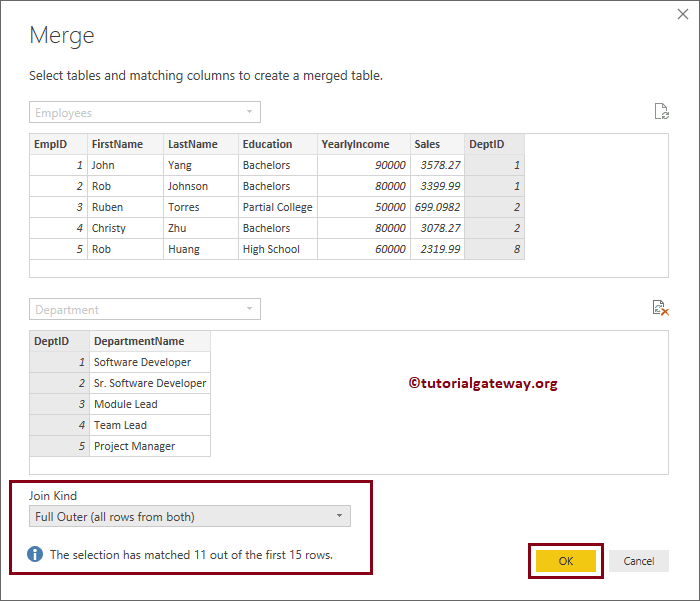 Power BI supports all major joins that are available in SQL. 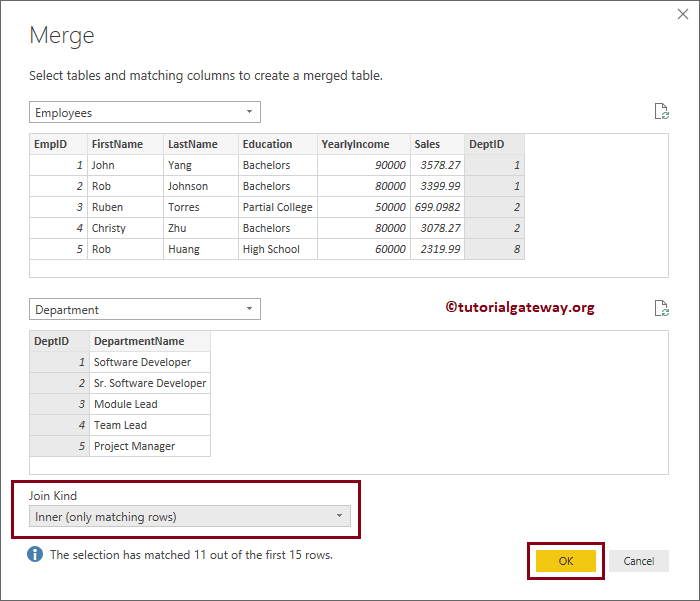 In this article, we will show you, how to use joins in Power BI to join multiple tables with an example. 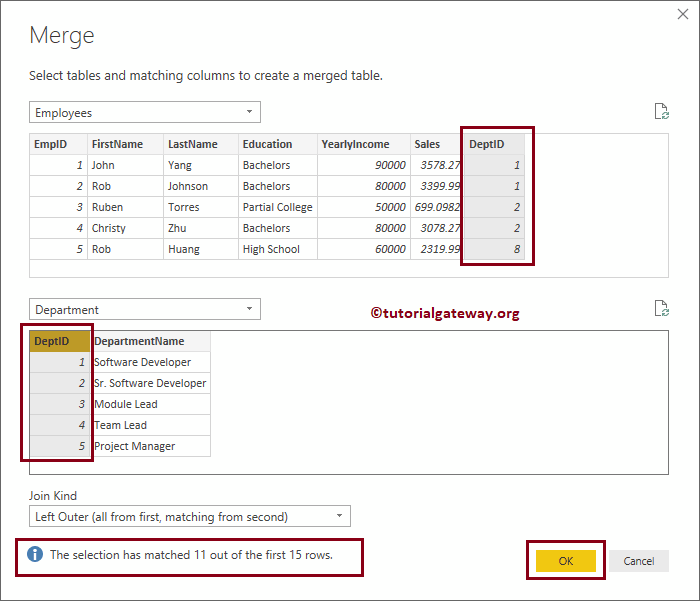 Inner Join: Returns the rows present in both Left and right table only if there is a match. Otherwise, it returns zero records. Full Outer Join: It returns all the rows present in both the Left and right table. Left Outer join: It returns all the rows present in the Left table and matching rows from the right table (if any). 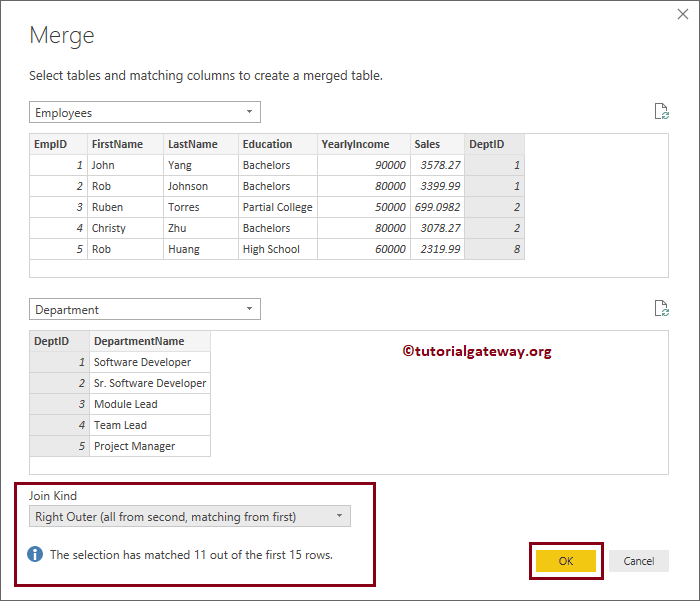 Right Outer Join: Returns matching rows from the left table (if any), and all the rows present in the Right table. 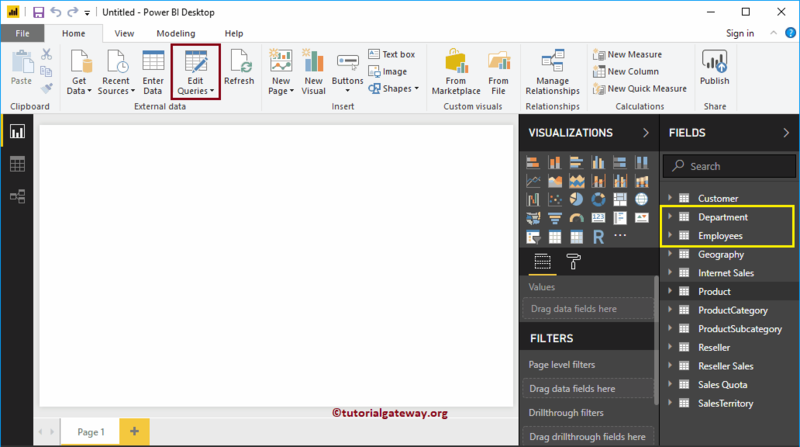 To demonstrate this Power BI join types, we are going to use the tables that we imported in the Load Data from Multiple Data Sources article. In order to perform join operations on existing tables, please click Edit Queries option under the Home tab. The following screenshot will show you the data present in the Department Table. 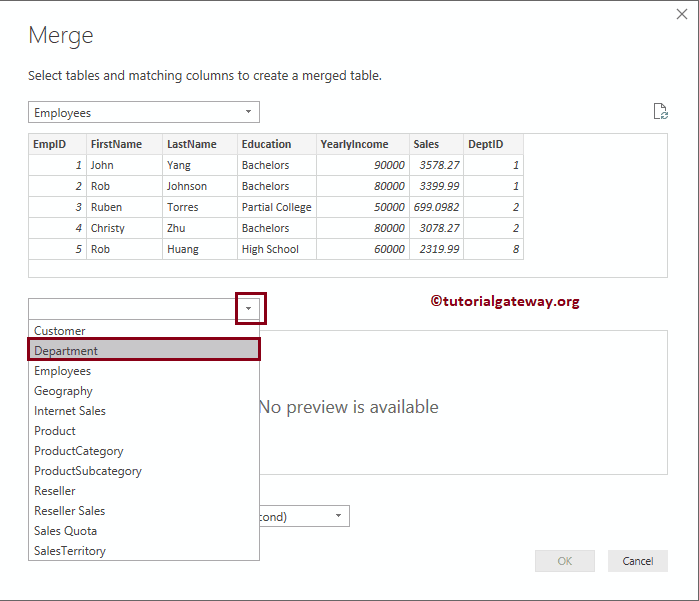 Merge Queries: This will merge the second table inside this original table. 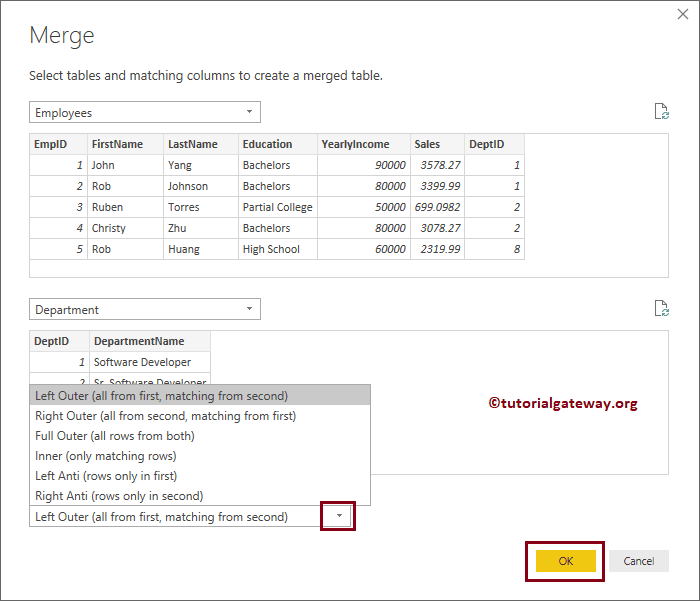 Merge Queries as New: This will create a new table with the result of joining first and second table. Following window will be opened. 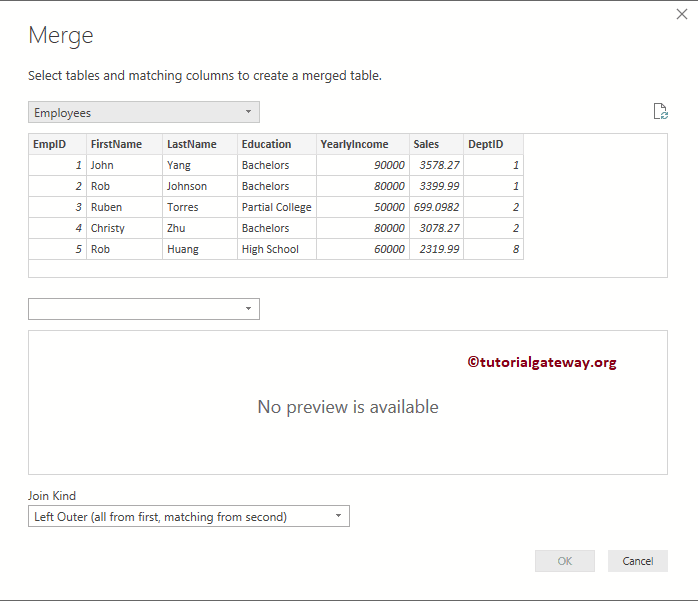 Use this window to select the Second Table, Join Type, and common column filed in both the tables. We are selecting the Department table as the second table. Now you can see the list of supporting Power BI join types. Please click on the right corner of the Department column header. This will open the following window. Use this window to select the required fields from the department table. Now you can see the Department name merge with the Employee table.